It's your most valuable resource for your financial future! Your good name, how people talk about you, what people say when discussing your product or service, that’s really all you really have to offer the world. But once a person’s reputation has been tarnished, things are never the same. No amount of advertising, no blasting of coupons or offers, nothing much overcomes a negative reputation. Well, almost nothing. 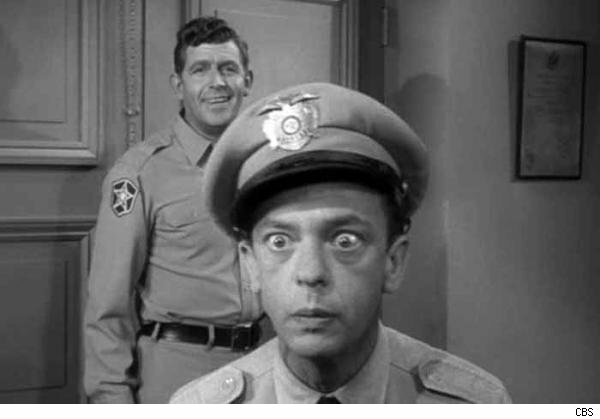 Remember the days of Andy Griffith and Barney Fife? Remember when someone in a small town did something stupid, shocking or offensive? It took about 3 minutes before everyone in town knew about it. The gossipers could ruin anybody. Then along came the big cities with big corporations and multimillion-dollar budgets and it became much more difficult to fight against these behemoths of industry. As cities grew bigger, an individual’s influence shrunk, as there were always more and more people to take advantage of by these corporations. In the days long before the Internet there were very few ways that consumers had to fight back against injustices they felt from companies they bought products or service from and were unhappy about it. Think about it for a minute, what did they do to try and get justice? Some would write letters to the editor hoping to get some attention. In extreme cases some would file lawsuits. Others would stand outside the businesses building holding a placard telling others not to do business here. Some would try to contact TV and radio stations to garner more support, but in the end very few people actually saw these complaints. Now it is easier than ever for people to tell the world and drive people away from your business. Today is totally different from just a few years ago and it’s different in many ways. Customer’s expectations have totally changed and their ability to complain to hundreds, thousands or even millions of people is just a keystroke away. Some customers have such high expectations and are so irrational that they can never be pleased. When anything happens that they feel that is even slightly out of favor with their desires, they become angry, vociferous and quite demanding, all at the same time. And even if they do get what they want, they still go to the Internet and post long, detailed, emotional and over-hyped letters so that all their friends and family can know what has happened to them. “There must be justice in the world and I want to make sure no one has the same terrible experience I had with this business!” they post. They may even take photos or videos of an encounter causing a viral sensation. It’s enough to give any business a headache and a cause for heart palpitations. Sadly, 72% of all people who read these reviews online will believe them no matter how crazy they may sound. (The Nielsen Corporation verified this number). That means that almost 3/4 of everybody out there believes what he or she reads online. What’s even worse is that now over 87% of all customers will go online to search any business, product or service before they go there in person or purchase the product. That’s another dramatic change that has occurred in the world today. No longer do people rely just upon “Consumer Reports” or advertisements in the newspaper or TV. It used to be quite difficult to do much research on a product or service, yet now that is also only a few keystrokes away. We are flooded with information and people need to find a way to judge which product or service they should purchase. And the single most important emotional factor that they rely upon is reviews about businesses. How did this happen? You see, Google has become the #1 preferred search engine for those looking for information. Google has done an excellent job at helping people find relevant information. Yet some business people try to “game the system” to get on the front page by tricking Google every single day. Therefore Google is constantly trying to find the best way to rank businesses on their front page in order to keep consumers coming to them (anyone who searches Google is their customer), and have decided to use reviews about businesses as one of its main features. This recent change in just the last 2 years has had a profound shift upon people’s perceptions and buying habits. It is also caused an enormous headache for businesses like yours, because now anyone can see your online reputation, whether an unethical competitor, a disgruntled ex-employee or an irrational customer filed it. Many businesses have been tried to overcome this by getting friends and family to post positive reviews about their business, only to find them removed a few days later. Other businesses have completely given up on trying to do anything and have gone into “denial” mode where they think that no one will really believe these remarks. That would be a mistake. In reality business owners are just frustrated and don’t know what to do about it. Many of those “Type-A Personalities” actually feel somewhat helpless and don’t like not being in control. A single negative review can actually cost a business upwards of $1 million over a ten-year period. And depending upon the business, it can actually be much more. We have an ROI calculator on this website to help you learn exactly how much negative reviews are really costing you. It is based upon a Convergys study done in 2009 showing that a single negative review can cost you up to 30 customers a year (on average). Please go there and follow the simple instructions to find out just what it’s costing you. Do you know if you have any negative reviews written about you? Do you know how many? Some people don’t even know they had any negative reviews written about them, or are not aware of how many there are out there. Please visit this page on our website and put in your local business phone number to find out what has been said about you (you can ignore anything after you get the report). Please note that it is not 100% accurate and it changes from time to time based upon a number of factors. However, it will give you an idea of where you stand. It searches hundreds of locations looking for some very specific information and collaborating it all into one easy-to-read document. Let’s suppose that you don’t find any negative reviews about your business. If, after you ran the reputation report and he gave you the message that “You have 0 negative reviews, we can’t find any reviews about your business.” Then that presents another problem. Businesses that do not have at least six 5-star reviews are not trusted by potential customers who visit your page or website. Now once you have discovered that there are negative reviews about you, or that you don’t have any reviews written about your business at all, we need to do something right away. We must not wait because this is costing you business every single day. Here’s the thing that customers are looking for: they want to see a minimum of six, 5-star reviews. Why? Think about it for a moment, which one should they go for when doing some research online: The one with 3 negative reviews; The one with no reviews; Or the one with six, 5-star positive reviews? As you can see, it makes it easier for them to decide who to trust. That’s where we come in. Our Reputation Marketing system we offer here helps you generate positive reviews for your practice, business or enterprise and we do it all behind the scenes so you don’t have to think about it. You don’t have to hire anybody to worry about it, you are not sending emails, letters or reminders. It all happens without you thinking about it. With very minimal effort you can acquire positive reviews from your customers. For example you can give them an iPad or Tablet to fill out a simple form. You can give them a business card or a postcard that they can use on their phone to review your product or service. Our staff takes care of all the other issues. This page visually shows how our system works and what happens in the process. The most important part is our system doesn’t break any of the terms of service with Google, Yelp.com or anybody else. Many of our competitors cannot say the same thing. The last thing you want to do is get in trouble with those same websites that list reviews about your business! We make it easy for people to share their good experiences with others! So if you’re ready to improve your reputation online and build the trust level that customers need to choose you over your competition, then give us a call today at 775-722-4949 and set up an appointment with one of our representatives to find out just what would be the best plan of action for your business. Please look over this website for any other questions that you may have regarding our system. We are very proud of the 5StarMax.com Reputation Marketing system that continues to help more and more businesses like yours in building a solid 5-Star Reputation and allowing them to grow the way they want to. It’s the most fun and rewarding program we have ever been involved in and we LOVE what we do! Call today! Every minute you waste is the potential loss of another customer to your business. Call 775-722-4949 today. Call us right now! Don’t wait another minute!